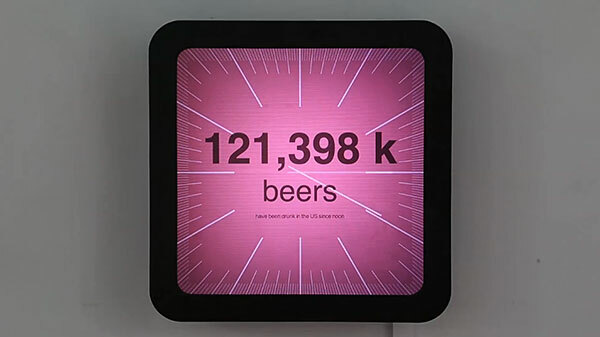 A clock that displays eccentric metrics gathered from the internet. Zero Noon is a digital clock that shows the current time according to eccentric metrics: it uses hundreds of different reference systems. 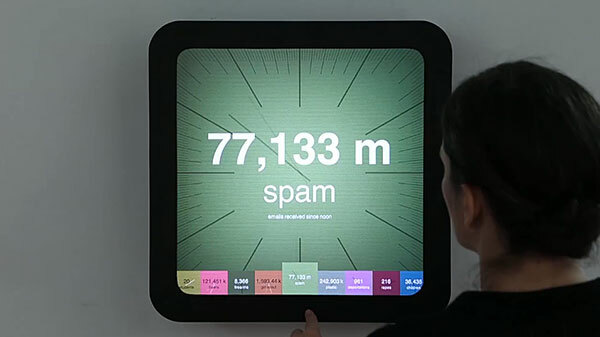 For example, the clock can tell the time based on the average number of daily financial transactions in Brazil, or the average daily amount of cookies sold by girl scouts, or the number of animal species that become extinct per day, or the daily average number of breaths that a typical human takes, and so on. Basically, Zero Noon is a clock that is run by internet-refreshed statistics.